Stats: Fern Lodge Junction to Falling Sign Junction: 0.9 miles, 530′ gain. From Falling Sign Junction to Fern Lodge Junction: 0.9 miles, 530′ loss. 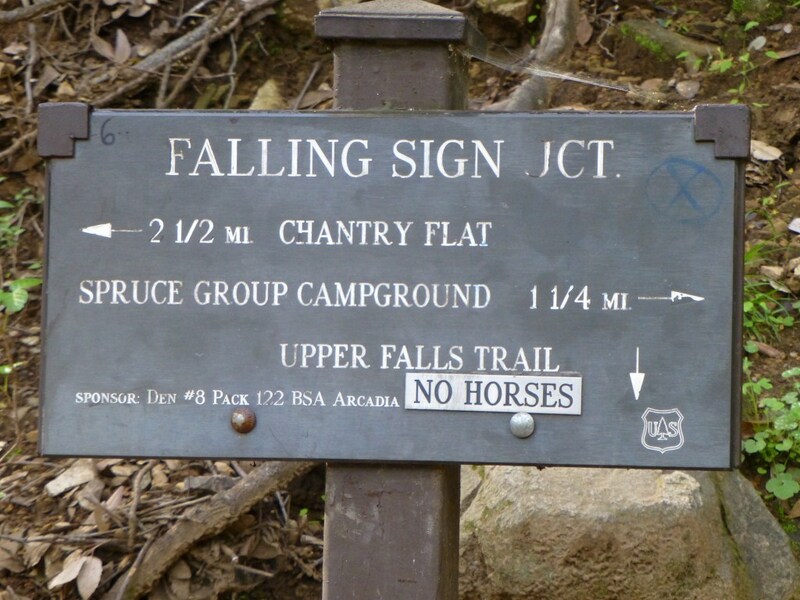 Round Trip: 1.8 miles 530′ gain and loss. 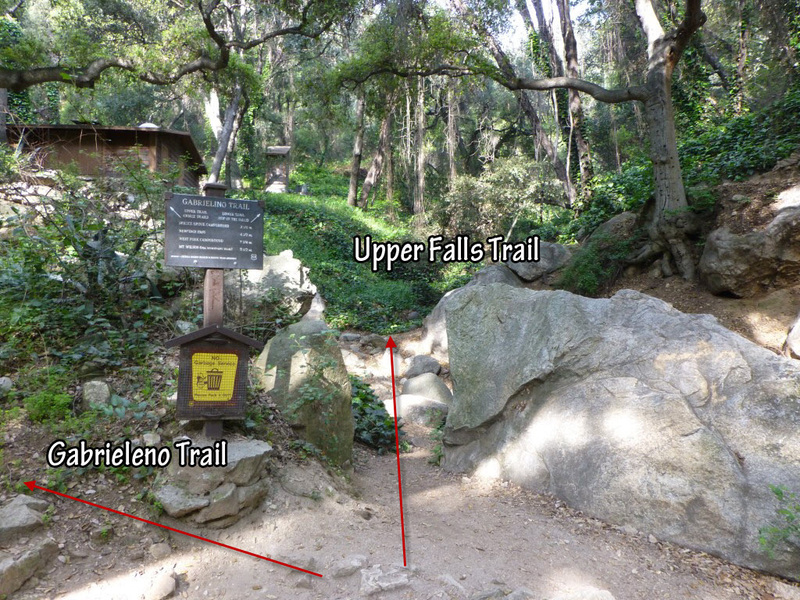 Across from the Fern Lodge Junction sign (streamside) is the Sign indicating the way to continue along the Gabrieleno Trail or taking the Upper Falls Trail. Go right for the Upper Falls Trail. View of sign at Falling Sign Junction.